Happy Wednesday to you! It's Jen here today and I have a journal to share with you. I created the journal by covering a composition notebook with paper and embellishments. I used paper from the Calypso paperline and inked the edges with BlueLagoon PowderPuff Chalking Ink. 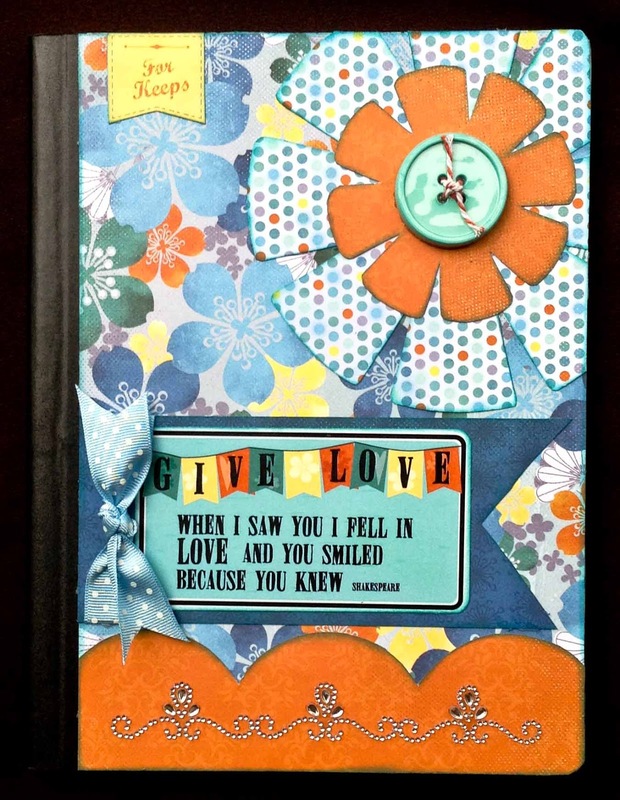 I added the FancyThat Bling Border from Want2Scrap to the bottom of the journal. 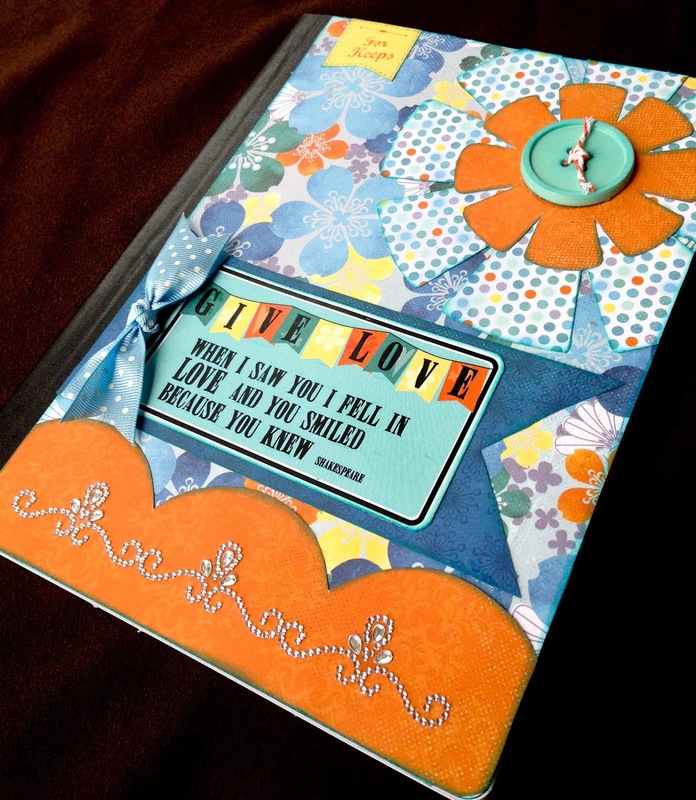 I used die cut sentiments, buttons, and Ribbon to add the finishing touches to the notebook.